Our Museum is housed in a restored tobacco barn that was part of the original early 20th century farm that is now Steam-O-Rama. 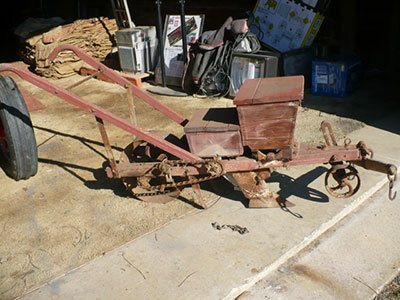 Here you will find a collection of antique tools and equipment from the years past. 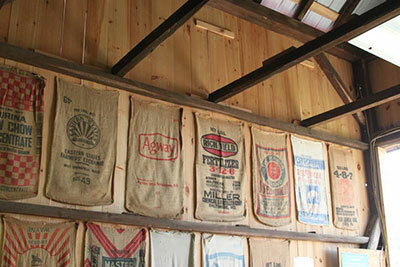 Our display contains equipment used in planting thru harvesting, storing thru selling of farm products. 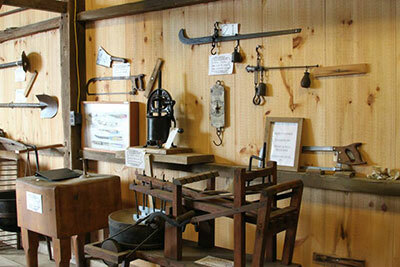 Tools commonly used around the farm, in the woodshops, during butchering and in the farm home are also on display. 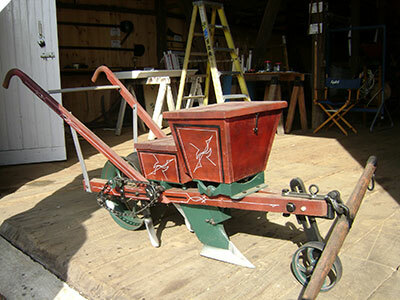 A functional hay fork system and litter carrier is also displayed. 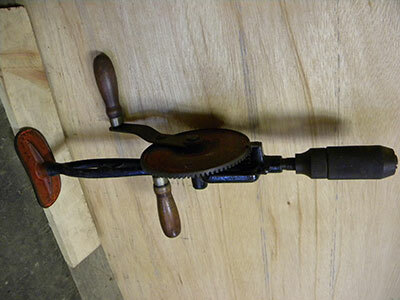 Many of the items in the Museum were manufactured in York County or the surrounding area. Admission by donation. Our Museum is open during the Spring and Fall Shows or by appointment at other times. For more information or to setup an appointment other then show times, please contact Rich Sheidy (717)-606-2521. 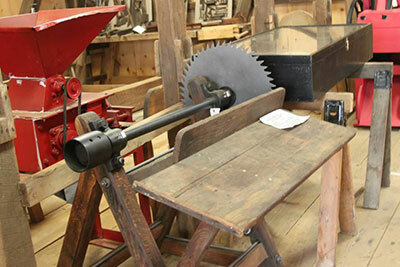 We have been concentrating our efforts on a display featuring local York County gristmills. We are collecting bags used to transport animal feeds, seed and fertilizer along with bags used for finished mill products. In addition we feature a display showing how chicken feed was marketed in calico print cotton bags to be reused by the farmwife for household linens, dresses, aprons and clothes for children. Below are just some of the items on display in our Museum. Under each of these groupings will be several pictures of items that fall into that group. When the link is selected, the first picture of that group appears and then the option to rotate thru the pictures is given. The same way our current "Past Events" works.